This is one of those bands that I started listening to with my daughter when she was in junior high/high school, so I know there’s lots of their music that I haven’t heard. I fell in love with their 2006 album, “Phobia”, and didn’t think I would love another album quite as much. When my son told me they had released a new album in 2015, I decided to check it out, not really thinking it would go anywhere. Boy was I wrong. I love “Dark Before Dawn” so much. It is dark and sad, but I honestly can’t stop listening to it. I’ve shared a few songs from this album, but I’ve honestly been waiting for the chance to share this one as well. I don’t think I could even explain why this song and this album have become favorites of mine. In some ways, it feels like the story they are telling is my own. The Song Lyric Sunday theme for this week was “angel”. Please feel free to click the link, read the rules and post one of your own. I don’t have any great story about how I came up with the theme this week. It could simply be that I started listening to my music on a daily basis and I seem to be finding this word a lot in the songs I’ve been listening to. I also think I’m going to kill two birds with one stone and post its counterpart next week. So, if you can guess what that will be, you can also start thinking about next week in the process of choosing this week’s song! Sometimes, I do try to be helpful. Anyway, without any further rambling from me, let’s get to it. Put your thinking caps on, break out your playlists and get to work! 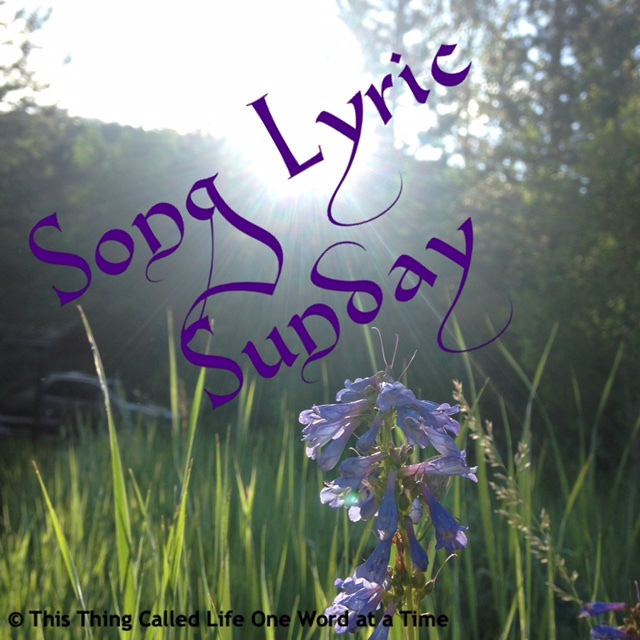 Our theme for Song Lyric Sunday this week is “angel”. This song is new to me as of this week, but I have to say that I’ve fallen completely in love with it. It has such a powerful message. It also makes me think of my own siblings. Some of them have been with me through everything. I know the title is “Brother” but aside from my hubby, my sister is my rock, my shelter and my strength. She’s been with me through it all and I only hope I’ve offered some of those things in return to her as well. Music is so powerful. I’m starting to realize that my life isn’t quite complete when I’m not listening to music. I also want to throw a quick shout out to all my followers each week. I know I’ve neglected you all terribly in the past month or so, but I have to say that I am constantly amazed at this community and for your willingness to help out and be there with me through everything. Thank you so much for all the great music along the way too. I’ve thoroughly enjoyed the ride to this point and I’m planning to keep it going. I do hope you enjoy the song. I apologize for the lateness of my post today, but I’m sure you’ll forgive me! The Song Lyric Sunday theme for this week was “brother/sister”. Please feel free to click the link, read the rules and post one of your own. I’m posting this a day early. To be honest, I normally do that, but for some reason it still feels a little weird today, probably because I’m not at home and I know that I won’t be able to do a whole lot with my blog tomorrow. 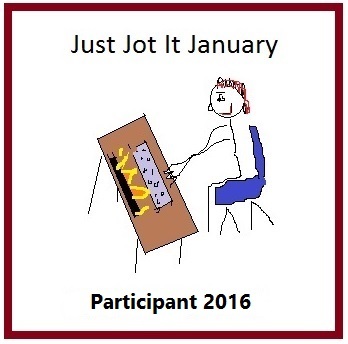 I hope that doesn’t stop you all from taking part and checking out each other’s posts. I truly love all the great songs that are explored each week. I have to say that I have always loved this song. I can’t say I’ve heard many Rihanna songs that weren’t played on the radio, but this one just gets me. It makes me think of my husband. We haven’t always had it easy and there were times that I wasn’t sure what tomorrow would bring, but I’m grateful every day that we decided to stay. He is truly my soulmate, my friend and my home. The Song Lyric Sunday theme for this week was “stay”. Please feel free to click the link, read the rules and post one of your own. I mentioned last week that I was surprised I had only posted one song by Matchbox Twenty. They were the very first alternative band that I fell in love with all on my own. Most of the music I had listened to previously had been someone else’s passion and I just happened to jump on their ride. I did fall in love with Country music for a while, but this band is what finally made me leave that world behind. There’s just something about listening to this band that brings me back to me, if that makes sense. I first heard them on the radio and then fell into the Alternative music world slowly but surely all on my own. I think the reason this music feels so much like home is that it kept me going when I wasn’t even sure who I was or where I belonged or even if I belonged. I guess you could say music kept me more sane than I would have been without it. Also, I think Rob Thomas is brilliant; his voice and his lyrics. He’s also not too bad to look at, if I’m being honest. The Song Lyric Sunday theme for this week was lights. Please feel free to click the link, read the rules and post one of your own.